Dismissed former PF Secretary General and Justice Minister Wynter Kabimba may not have received his formal letter of his ‘fall from hero to zero’ one week after being dropped, according to some close family members. Highly placed family sources say their relative is still unable to comment over his dismissal as most ministers and officials do because he has not received formal communication from ailing president Michael Sata. “Our relative is at his farm in Mumbwa and from the look of things, hints are that he may not have received formal communication over his dismissal by the president. Unless the letters are at his former office or someone is still keeping them, he seems to have just been dismissed by that press statement by the president’s Press Aid George Chellah,” said one highly connected family source. The tradition has always been that when people are dropped by the president, even in bitterness, they tend to thank him for the opportunity he gave them to serve in government. When a person is appointed minister, they are given a letter of appointment and when fired, a letter of revocation is written to them. 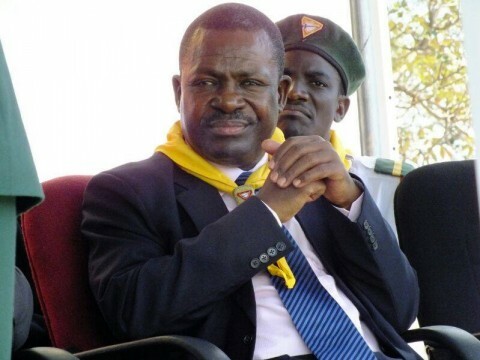 Kabimba was fired last week Thursday, but to date, he has not said a word, other than daily lamentations by his comrades at The Post Newspaper, who are equally pained by the actions of their former comrade, president Sata. “In fact, there is even a feeling by Kabimba’s family members that president Sata may just have been duped into dismissing Kabimba because his (Sata) thinking capabilities are now too low to understand anything due to dementia. We can bet, if you ask Sata today, he does not remember firing Kabimba at all. That’s not say he may not have been duped into taking that action. We suspect some of Kabimba’s enemies took advantage of what the Post newspaper has now been saying ‘challenges, weaknesses, and lapses’ that have arisen with president Sata’s capacity to work properly,” highly placed sources said. Kabimba’s family members believe their relative was just being a gentleman by not wanting to embarrass his former comrade and close friend Sata into challenging him to produce the letter before he can say something. “But at the rate things are going, he might be forced to ‘spill the beans’ and reveal the whole truth about the people who could have duped president Sata without him (Sata) knowing. Remember even before he became sick, dementia was slowly with Sata when he publicly appointed Robbert Chikwelete as Lusaka District Chairman. But later he challenged him to produce the letter of appointment,” sources said.